It contains 14 adaptions of the Pixar films with 1 extra bonus story involving Wall-E. I’ve read about half so far and have found a pattern developing, even though different writers are responsible for some of the titles. Being as I know the stories inside-out, I can follow the edited versions presented in the book reasonably well. But for first-time readers, many panels would not make sense, as crucial details are left out. It is obvious that these adaptions were not penned by seasoned comic book writers, individuals with a consummate knowledge of conveying a bigger story into the sometimes limiting space of comic book boxes. Now is as good a time as any to mention the bonus story entitled Wall-E: Recharge. As you would expect, there is no dialogue to help you understand what is happening, and because of the aforementioned inexperience of the writers with this medium the story is all-but incomprehensible! The best part of this treasury is the artwork! Every artist brought a great sense of the original story to each title with some truly breath-taking visuals. As a comic book fan from way back, this was a treat to read based only on the pictures (yup, I’m a picture guy). Not to be too tough on this treasury, it’s still a fun read with good work done by all of the creative talent involved. I would definitely recommend it to any Disney parent who would like a nice book of bedtime stories to share with their little Disney fans-to-be! Finding Nemo Submarine Voyage is a reworking of the old North Pole Expedition (20,000 Leagues Under the Sea Voyage in WDW) and one of my favorite attractions. 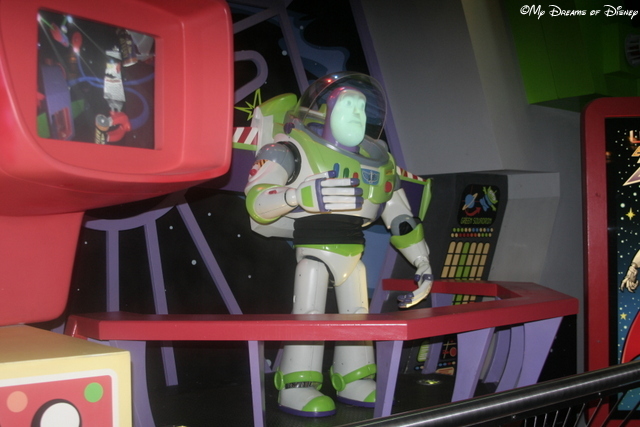 John Lasseter oversaw the bringing back of this great ride and Disney pumped millions into making it perfect. I wonder what happens if you press the BIG red button? Boarding is slow, yielding long wait times, but worth it! When this attraction was coming out of a refurbishment, some sites claimed, or hypothesized, that Disney was going to close this attraction because it was to expensive, with long wait times. I never believed this to be a real possibility due to the sheer amount of money that was pumped into it. So far, I seem to be right as it is still sailing as of this date! I’m glad it’s still here and prettier than ever!